What is the “Race for Relevance”? 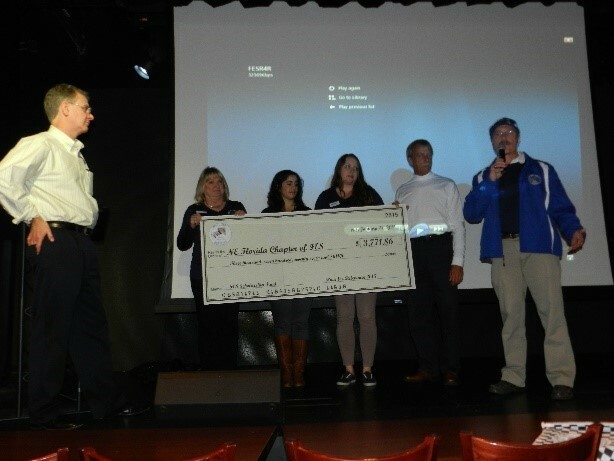 It is part of the NE Florida Chapter’s “race” to support the future of our profession: a Scholarship Fund Raising Event. Do you have the need for speed and a desire to champion a great cause? Then this is the event for you. If you are not familiar with the Autobahn Indoor Speedway then prepare yourself for fast acceleration and high-speed turns while your adrenalin feeds your excitement as you drive the latest in innovative go-cart fun. This indoor speedway is home of the latest in electric powered go-carts that can reach speeds of up to 50 mph. And the best part of this experience…you will be raising money towards scholarships for deserving students to study engineering and become the next generation of Professional Engineers. On January 15th the NE Florida Chapter of the Florida Engineering Society (FES) held its Inaugural Race for Relevance at the Autobahn Indoor Speedway. 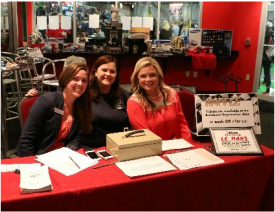 The purpose of the event was to raise money for the chapter’s scholarship program. The evening was filled with fun, speed and great networking as 32 Teams and 130 drivers competed to claim the right to be the winner of the “Race for Relevance”. Teams consisted of 4 drivers who raced in different heats on two tracks. Adrenalin and excitement was felt by all as the drivers sped quickly around the track attaining speeds near 45 mph. The Grand Stand Audience watched with anticipation as the racers competed to make the semi-final and then final races. At the end of the evening, awards were given to the first, second and third place individual and team winners. Thank you to all our sponsors who made the event so successful for the scholarship program. Thank you to the committee (Corey Chascin, Jennifer Klich, Janet Duffy and David Cook) and the volunteers who helped to put the event on. Also a special thank you to the Autobahn Indoor Speedway for helping to make the event a success. For the winners congratulations but be prepared to defend your titles next year at the 2nd Annual Race for Relevance which will be on Thursday, January 21, 2016!!! Planning is underway now for R4R 2016! If you want to get in on the action, check back here for more details and sign up below so we can contact you. Race. Volunteer. Support. If you want to be a part of R4R 2016, let us know! PHOTOS FROM THE 2015 COMPETITION!